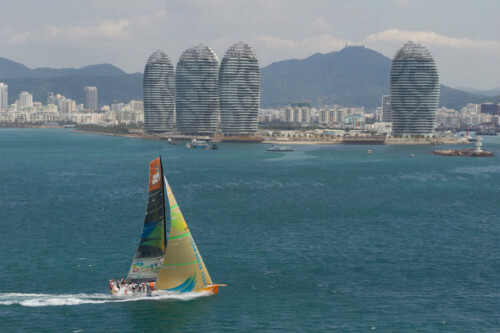 The 2014-15 season of the Volvo Ocean Race will be held in China’s beautiful coastal city of Sanya for the second time. The city impressed people all over the world during the 2011-12 season when it held the event for the first time. As a famous tourism city in Hainan, Sanya enjoys brilliant sunshine all year round. It was again chosen to be the fourth stop among 10 stops along the racing route after the 2011-12 season. The sailing team will stop at Sanya after stopping in Abu Dhabi and Auckland. Sanya made its race debut in the 2011-12 season. Tens of thousands of tourists witnessed the glamour of the tropical island. In the 2008-09 season of the Volvo Ocean Race, Qingdao was chosen to be the first stop in China. Sanya was chosen as the second stop in the 2011-12 season. Dong Yongquan, deputy general secretary of the Sanya municipal government and Sanya stop-over race manager, said, "We are very pleased that Sanya again can be the only stop-over for the Volvo Ocean Race in China. Sanya has proven itself as one of the most favored sailing cities in China and around the world. It has become a real sailing capital. In the next two years, we will integrate resources on the whole island and ensure the preparation work of the race. 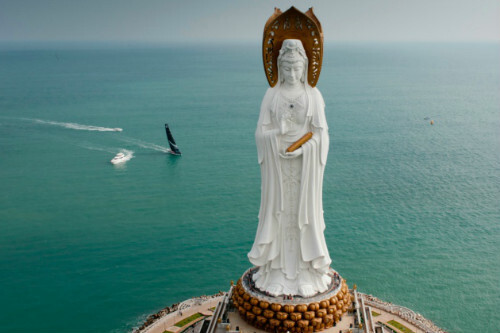 We also hope that our endeavors can make the Volvo Ocean Race an important project to build Sanya into an international tourism island utilizing its global influence, culture and branding value." Sanya is the ninth stop-over among the 10 stops. The 12th Volvo Ocean Race will start at Alicante, Spain, and head to Recife, Brazil. From there, the boats will head into the Southern Ocean on their way to Abu Dhabi. They will then sail to Sanya, then to Auckland in New Zealand and around Cape Horn to Itajai. The sailors will then head north all the way to Newport and Lisbon. The whole race will end in Goteborg, Sweden. More information about the race will be publicized in coming weeks.